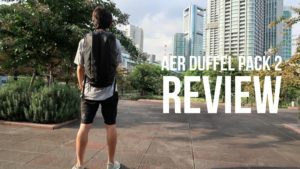 Aer Fit Pack – This Backpack Gives You a Huge Bang for the Buck! 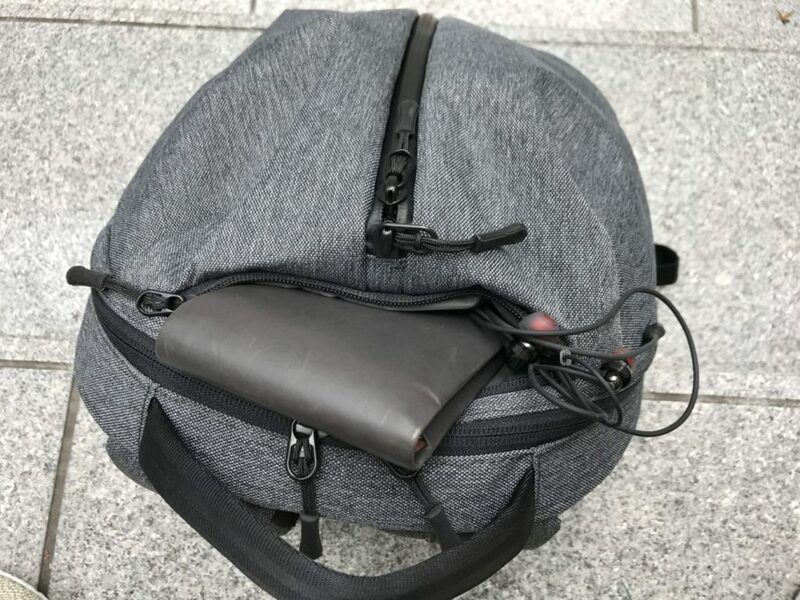 There’s a backpack that I’ve been using a lot recently. It’s the Aer Fit Pack. 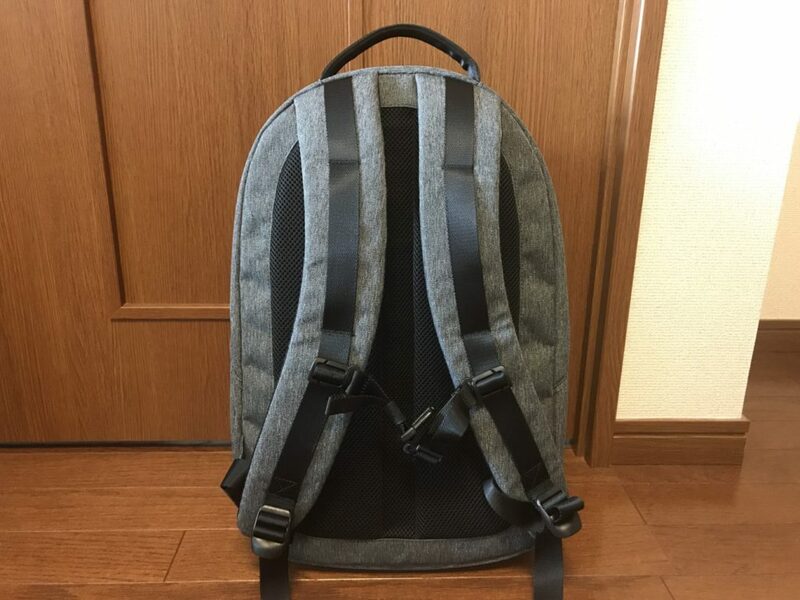 I love backpacks and am always on the look out for a new one to try out. 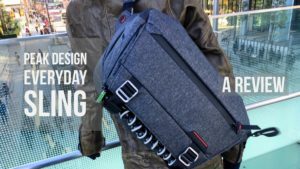 Some of my favorites are the Peak Design Everyday Backpack and the Arcteryx Arro 22. Why did I get the Aer Fit Pack while owning great backpacks such as these? 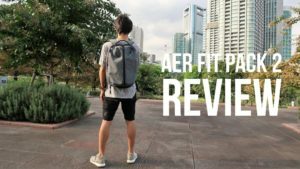 What do I like about the Aer Fit Pack? 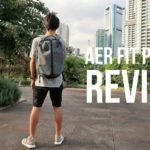 What do I not like about the Aer Fit Pack? Today I’ll be reviewing the Aer Fit Pack, focusing on these points! What kind of brand is Aer? Aer is a brand that’s been around since 2014, born in San Francisco. 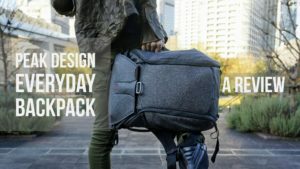 They launched Fit Pack, which was one of their first bags, on Kickstarter and was an immediate success. And that leads to the company Aer is today. 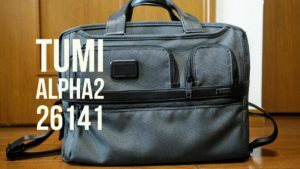 Functional bags with minimalist design at affordable prices. That is how I see their mission. And I like the last part of it! 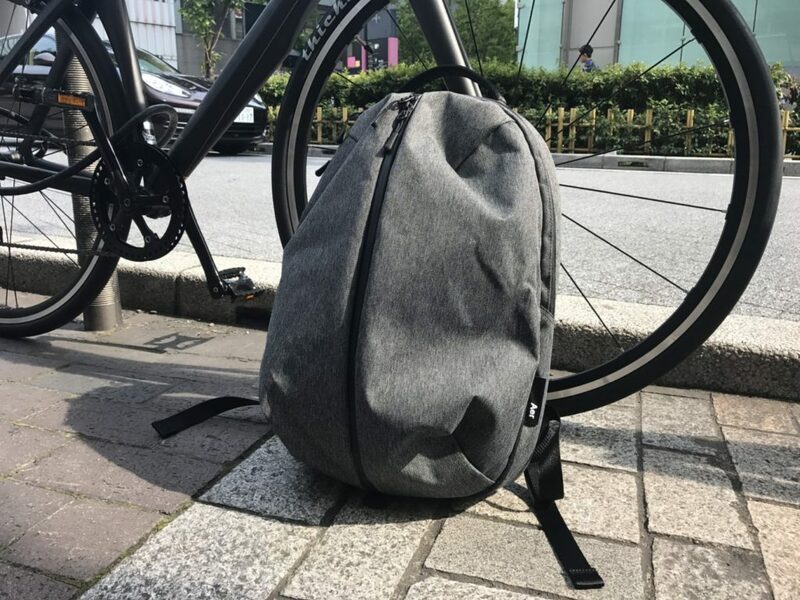 Aer bags are really reasonably priced. The Fit Pack that I got is only 120 USD. Their most expensive bag, which is the Travel Pack, still only costs 220 USD. 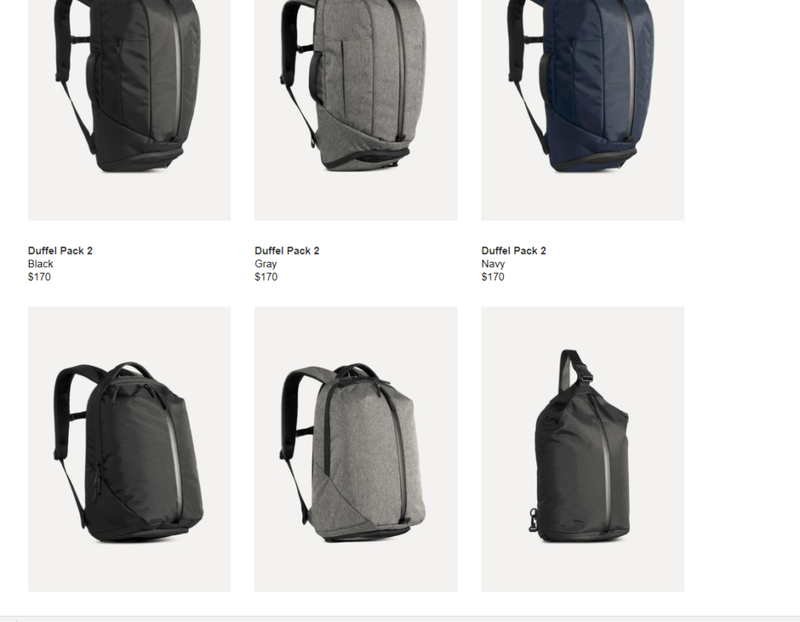 This is definitely reasonable compared with how much other companies are charging for similar bags. Intentional or not, their pricing policy is evident in their shipping cost to Japan at only 19 USD. But if quality is sacrificed as a result of relentless cost cutting, that’s not good either. Let’s check out the Aer Fit Pack and see if it’s a backpack worth owning! 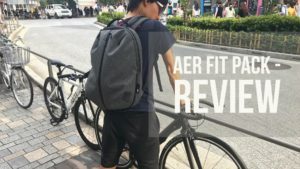 Why did I get the Aer Fit Pack while owning so many other backpacks? 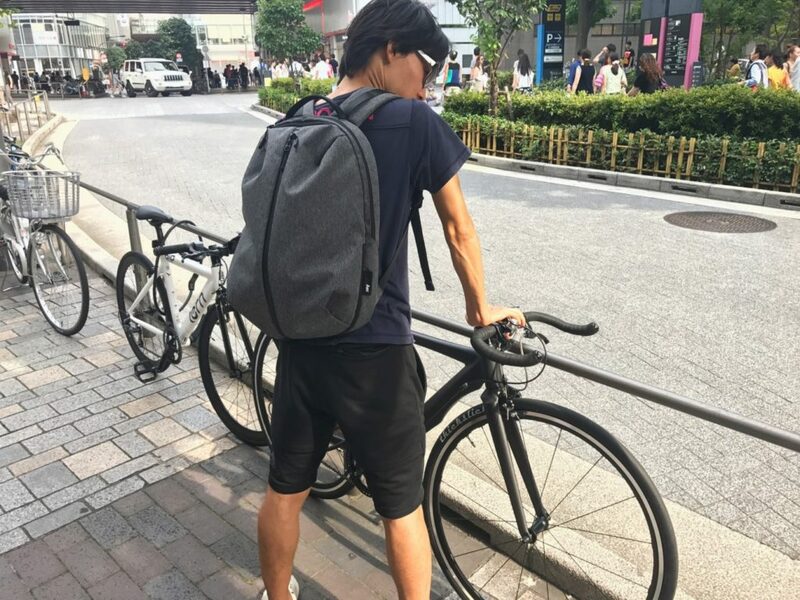 Some times when I’m just going out for groceries or just riding my bike around the city, the Peak Design Everyday Backpack and Arcteryx Arro 22 can be “too much”. In that sense, the Aer Fit Pack is just the right size and weight. And of course that bag has to look good. Most importantly, the straps have to be attached to the bag close to each other to accommodate my super sloping shoulders. I got the Aer Fit Pack because of these reasons. I think the bag’s got the looks that it needs! 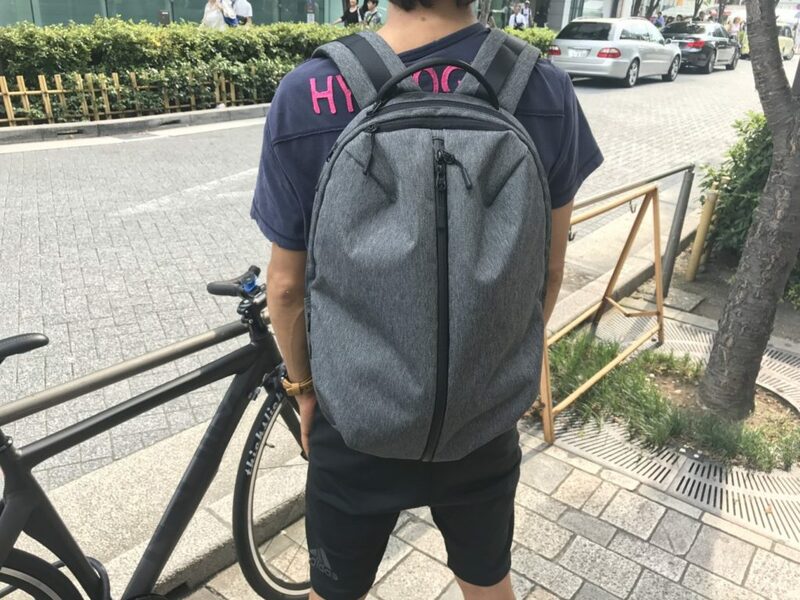 It reminds me of Master Roshi’s turtle shell from Dragonball but the simple design lets you use the bag in casual situations of course, but also in an office environment. As a matter of fact, I threw in my laptop and went to the client with this bag just the other day. This is my mantra with bags in general, not just backpacks. It’s sad to see bags lying on the floor, especially when it’s at a meeting with a client. 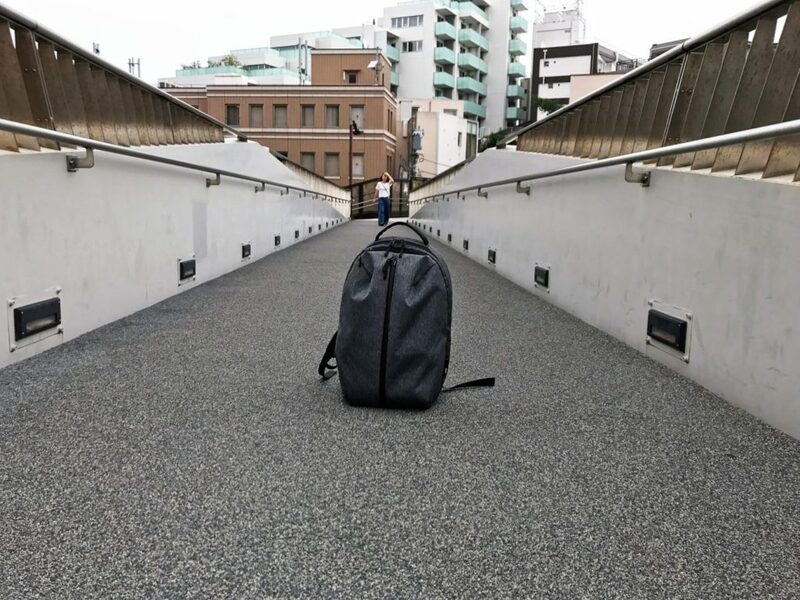 The Peak Design Everyday Backpack is king in this department. 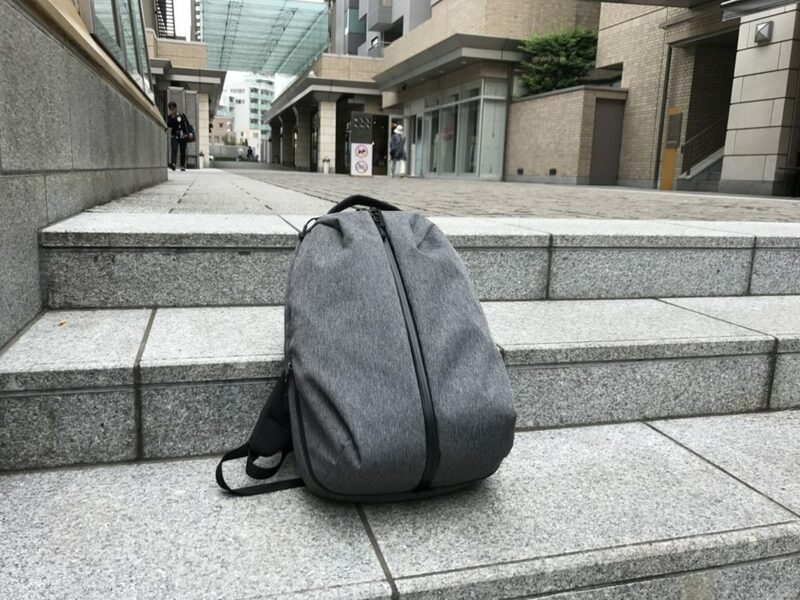 With the Aer Fit Pack, you can make it stand by moving things around inside the bag and by laying it down gently but it’s no match for the stability of the Peak Design Everyday Backpack. This is an area that I am a little disappointed in, not to an extent that it becomes a deal breaker though. The center zip pocket of the Aer Fit Pack really stands out in terms of design. Similar with the Arro 22, this type of pocket is useful when you want to throw a lot of things into your bag. On the other hand, it’s not the best solution when you want to keep things neatly organized. 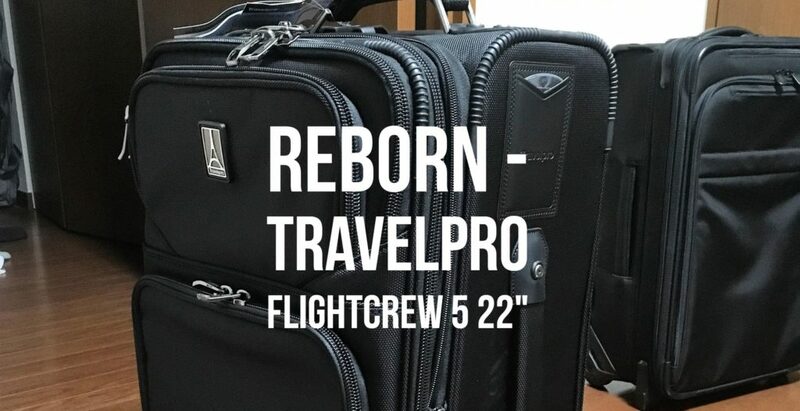 The Aer Fit Pack has got this covered with its highly functional PC compartment. Lets now check out the pockets on the Aer Fit Pack. 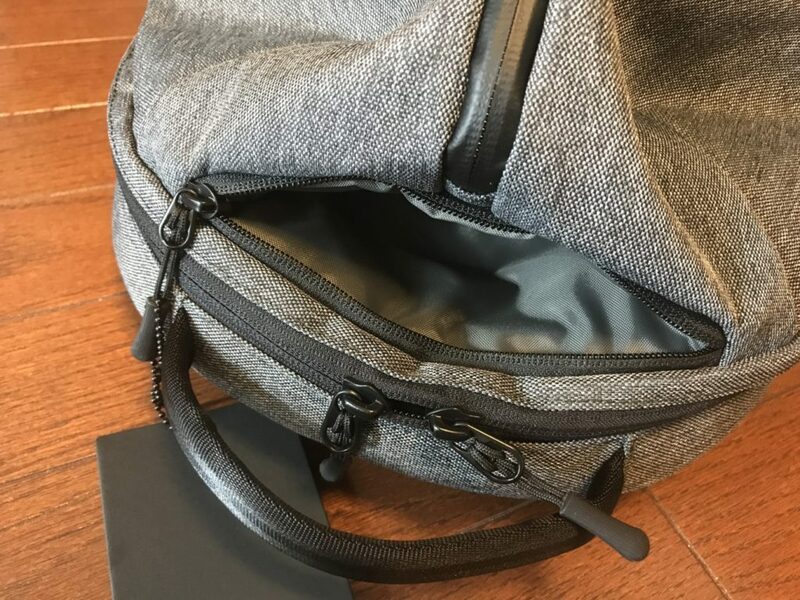 The center zip pocket is the main pocket on the Aer Fit Pack. Most of your things will end up in this pocket; jackets, water bottles, tripods, cameras, etc. 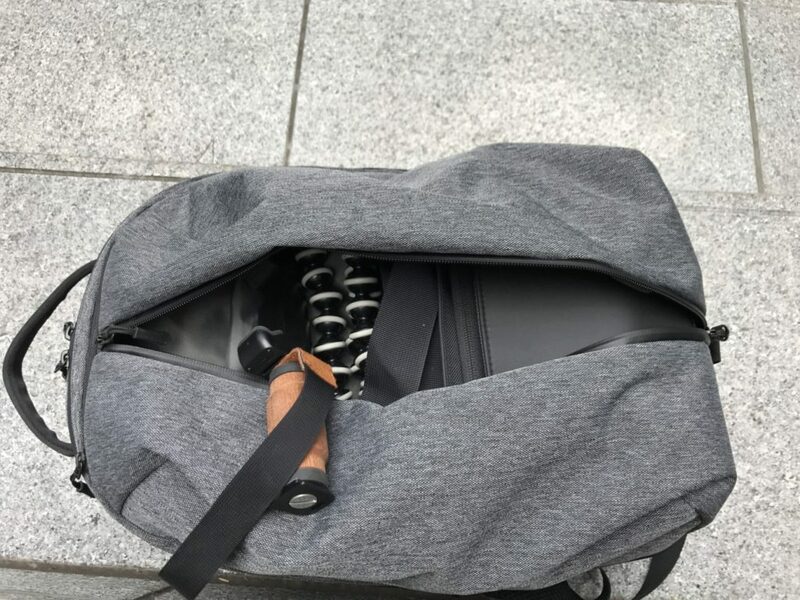 The other day, I was carrying my tripod and DJI Spark in this pocket. Small YKK zippers are used on the Aer Fit Pack and they are smooth and easy to open/close. The PC compartment has a sleeve for a laptop and another for a tablet. A 14 inch X1 Carbon fits perfectly in the laptop sleeve. 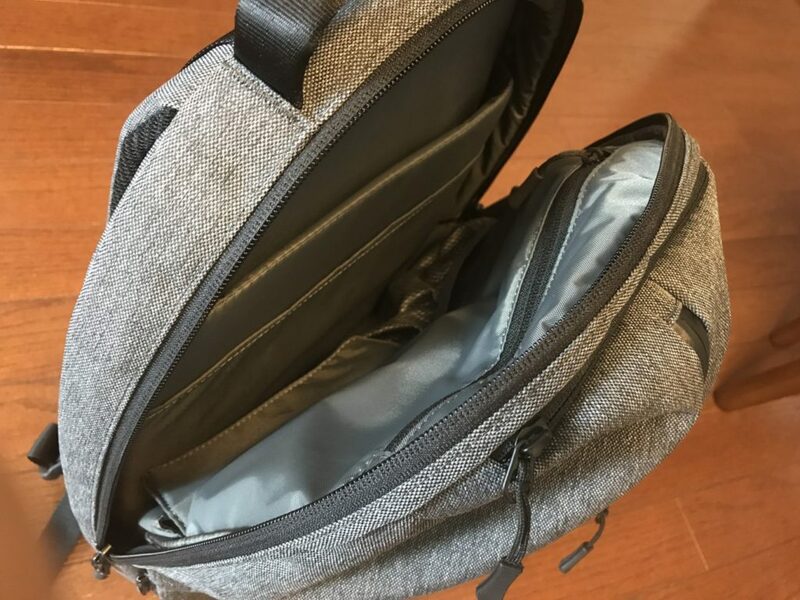 You’ll also find a mesh pocket in which you can put an AC adapter and a pocket with a Velcro flap in which I put my card case or calculator. Towards the top, there is a wider zip pocket perfect for pens. In my view, the Aer Fit Pack has just the right number of pockets, not too much, not too little. There is some space in the PC compartment for a book, notebook and some documents but its pretty tight so it’s not perfect for thick books or binders. 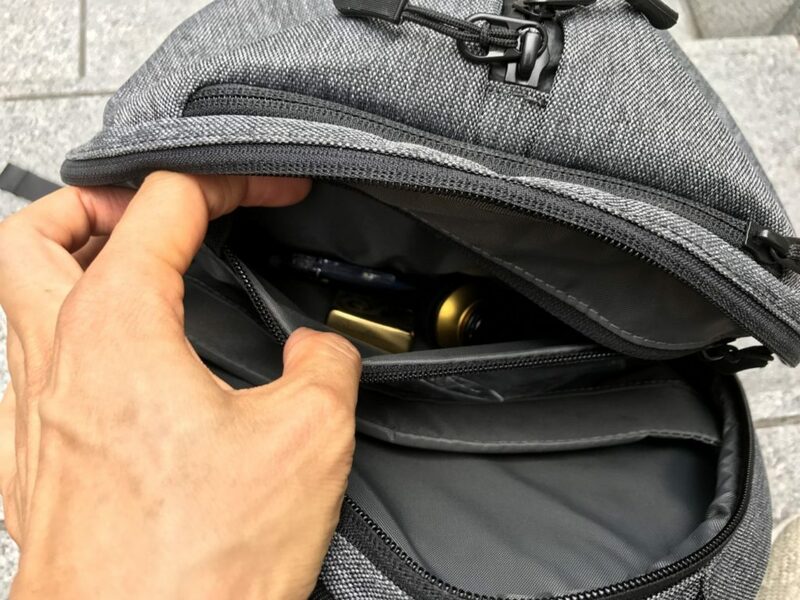 The Aer Fit Pack has a unique shoes pocket that you access from the bottom of the backpack. This unique pocket is probably what makes the bag the “Fit” Pack. The pocket is isolated from the main pocket so it’s perfect for shoes and gym clothes. 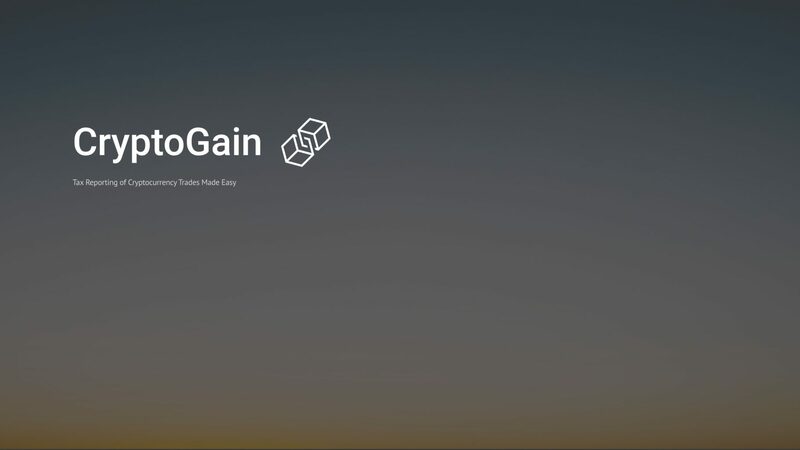 If you go to the gym after work or school, you’l probably find this pocket useful. Keep in mind, if you use this pocket, you’ll be cannibalizing capacity from the main pocket. I haven’t been using this pocket because of this reason. This is my favorite pocket on the Aer Fit Pack! 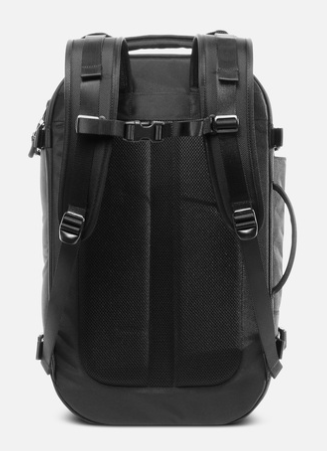 You’ll find the quick access pocket towards the top of the backpack. The depth is perfect so I throw in my earphones and ID card. The quick access pocket is perfect for items like these because I end up reaching for them many times during the day. 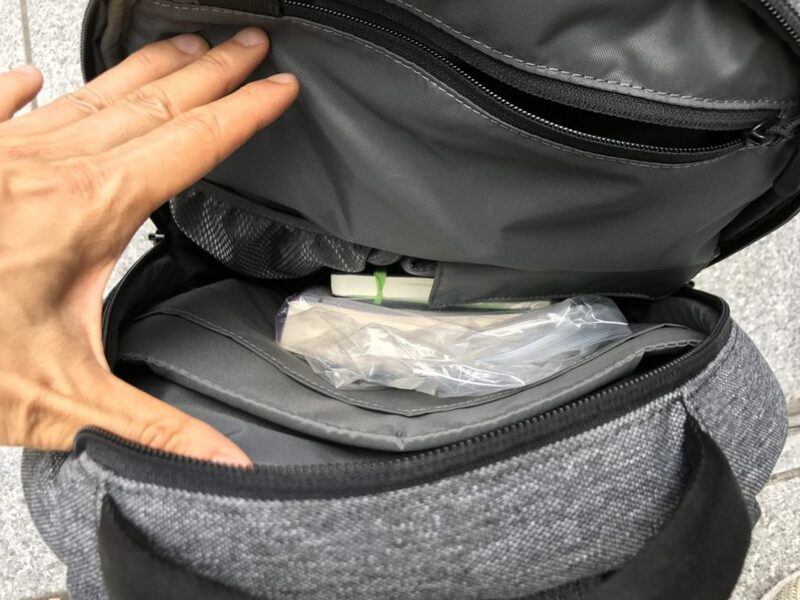 This pocket is probably why I find myself using the Aer Fit Pack over the Peak Design Everyday Backpack or the Arcteryx Arro 22 when I go out. The low cost of the bag is probably most apparent in the straps. 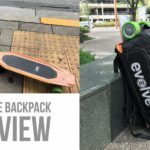 They’re not bad, but compared with the Peak Design Everyday Backpack or backpacks by Arcteryx, you can’t help notice the cheapness of the straps on the Aer Fit Pack. The straps and the back padding has mesh lining to vent out moisture and heat. 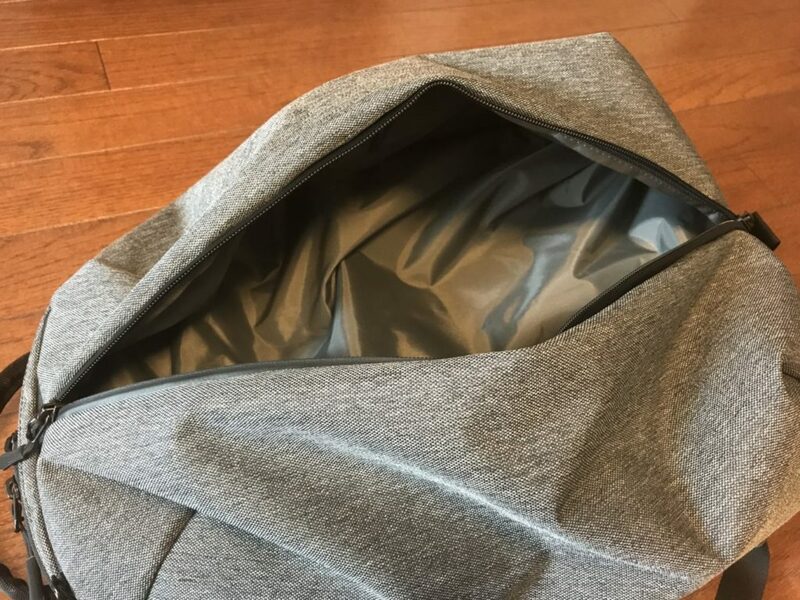 The one thing I want Aer to change on the Fit Pack is this mesh lining. It’s really rough and very itchy when it touches the skin. 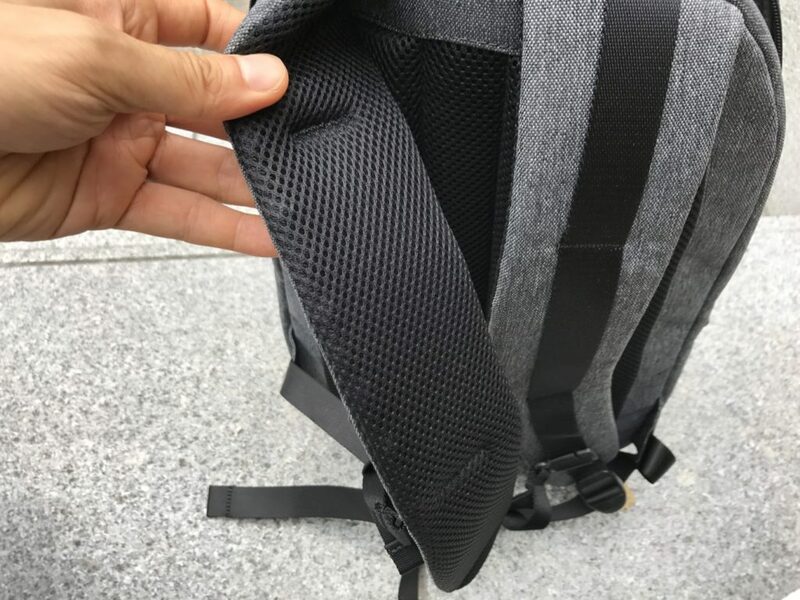 This has to be changed with a soft mesh material, like the kind used on the Peak Design Everyday Backpack. Alternatively, go the Arcteryx route and use a smooth material that is not irritating on the skin. The strap itself is wide and stable on the shoulders. The most important thing for me is that the straps on the Aer Fit Pack are not too far apart at the shoulders. Because I have super sloping shoulders, straps would easily roll off my shoulders if they are too far apart from each other. This is probably not a problem for most people, but for people with shoulders like mine, its critical. 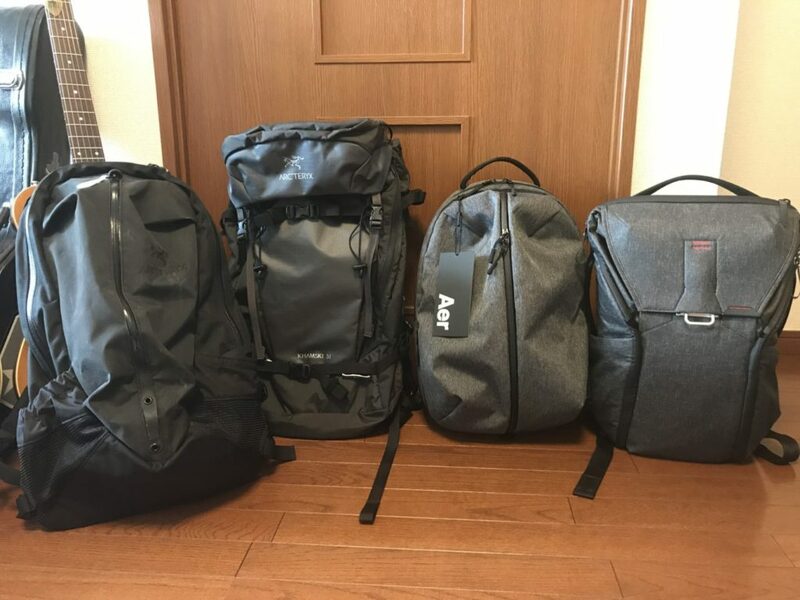 I’m actually interested in the Aer Travel Pack but I already know that it’s not for me because the straps are too far apart form each other at the shoulders. 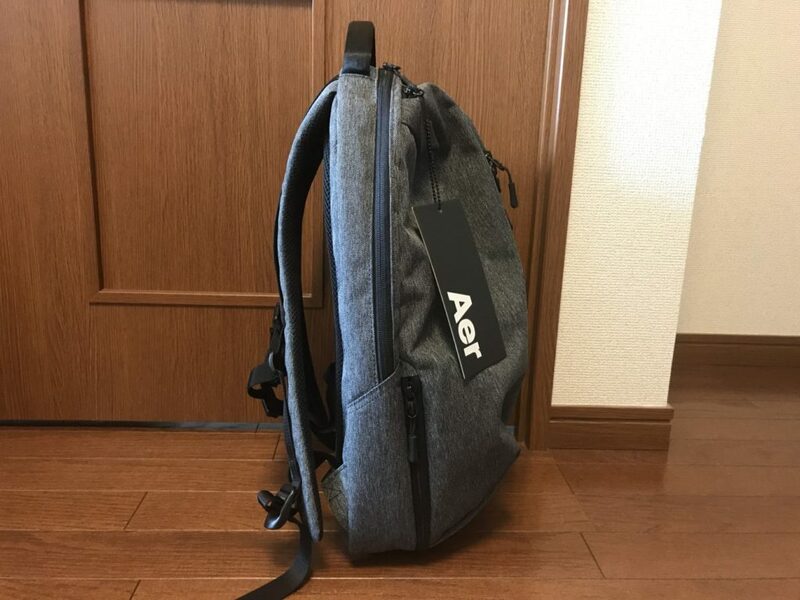 The Aer Fit Pack doesn’t have a waist strap which is fine considering how I’ll be using the bag. I’m liking the Aer Fit Pack (I have it with me today too)! When you consider that it only costs 120 USD, it’s really a bargain. I summarized below what I like about the Aer Fit Pack and what I don’t like about it. I like it more than not and I am very happy with my purchase! I know for sure that I’ll be using this bag a lot during this summer. 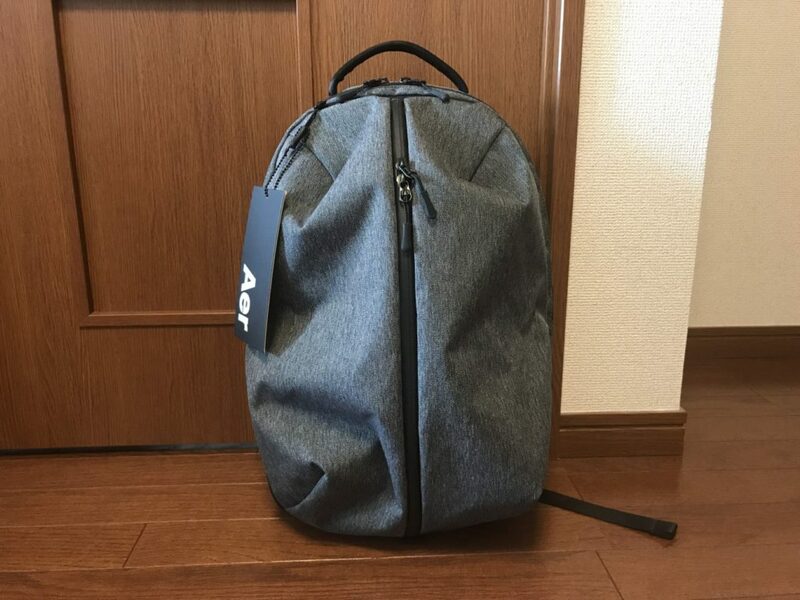 If you’re getting it in Japan, the Aer Fit Pack is a popular backpack so expect to pay full price. Amazon and Rakuten were both selling it at list price. 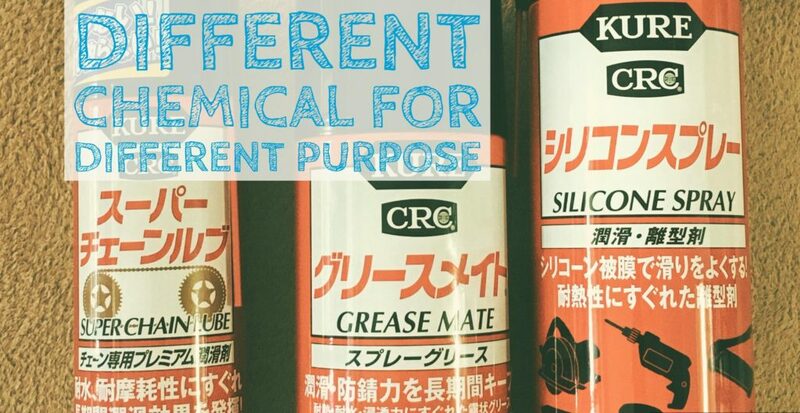 If you can wait a week and want to save a few thousand yen, get it from Aer’s website. They only charge 19 USD for shipping to Japan so you can get it for 139 USD (15,568 Yen ＠112 Yen). Aer, how could you, right after I got the old one. 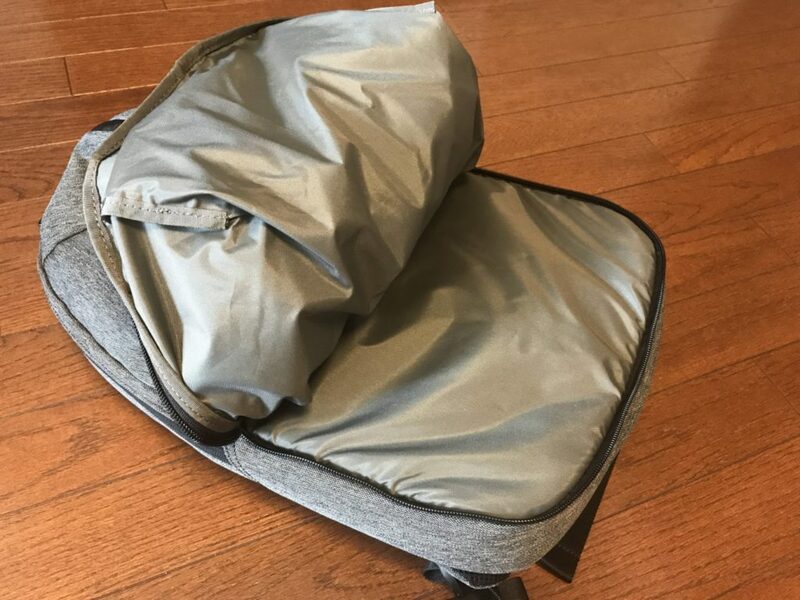 I did what came naturally to me and ordered the Duffel Pack 2! 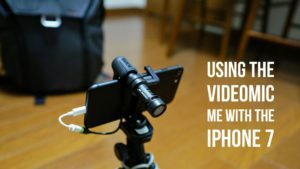 Pioneer RAYZ PLUS – Possibly the Best All-around Earphone for the iPhone 7!